ANN ARBOR, Mich. -- A felon offered a musical apology, apparently inspired by singer Adele's "Hello," before being sentenced to up to 17 years in prison in Michigan for unlawful imprisonment and carrying a concealed weapon. 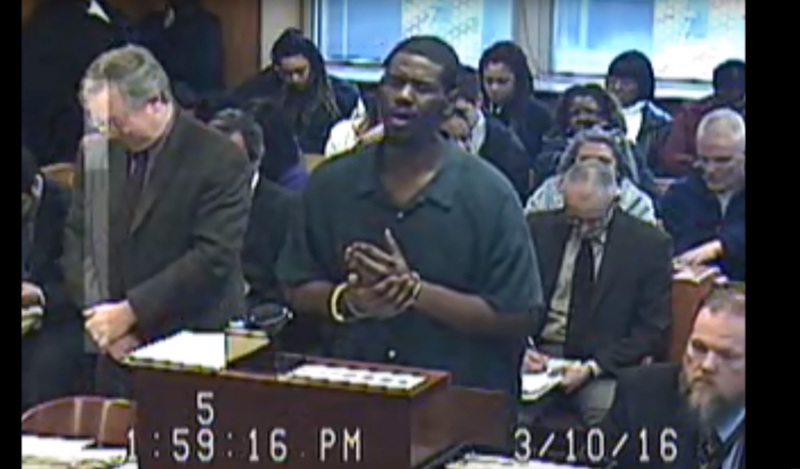 The Ann Arbor News reports that 21-year-old Brian Earl Taylor on March 10 sang to Washtenaw County Trial Court Judge Darlene O'Brien. Taylor's song sounded like it was based on Adele's hit song and was recorded on courtroom video. "Hello there, your honor," Taylor sang. He continued: "I want to say I'm sorry for the things I've done and I'll try and be stronger in this life I chose, but I want you to know -- that door, I closed. And your honor I'm sorry, sorry, sorry, sorry." O'Brien said Taylor was "obviously a talented young man."